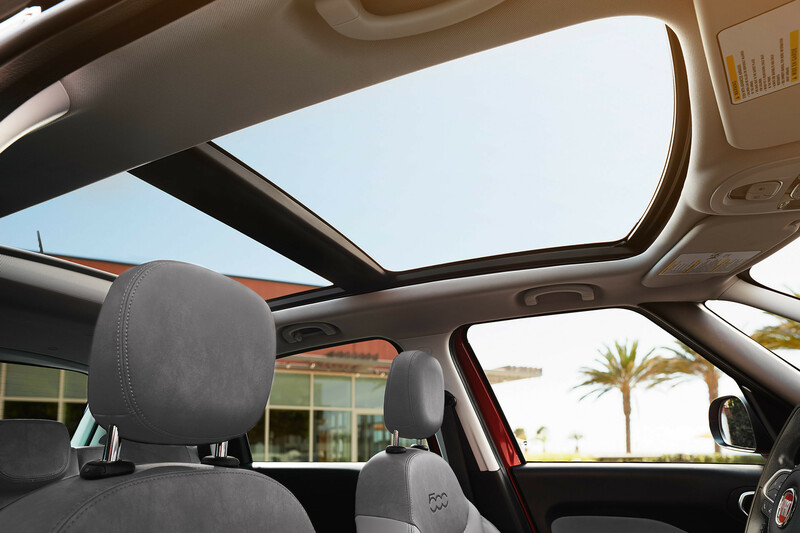 The available power dual pane sunroof provides an awesome view of the sky above. 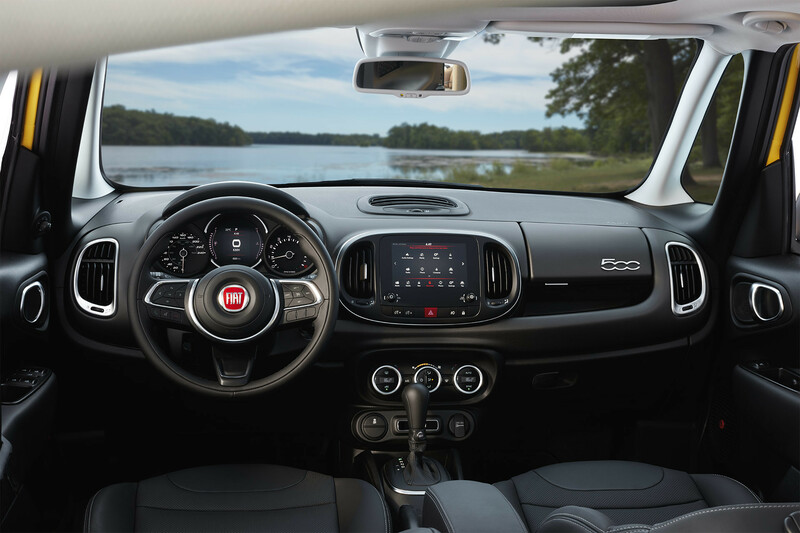 The tech-packed interior includes a Uconnect® 4 multimedia centre, Electronic Vehicle Information Centre (EVIC) display and 6 premium speakers. Available GPS navigation Never program while driving. GPS mapping and available 3D navigation may not be detailed or available in all areas or reflect current road regulations. 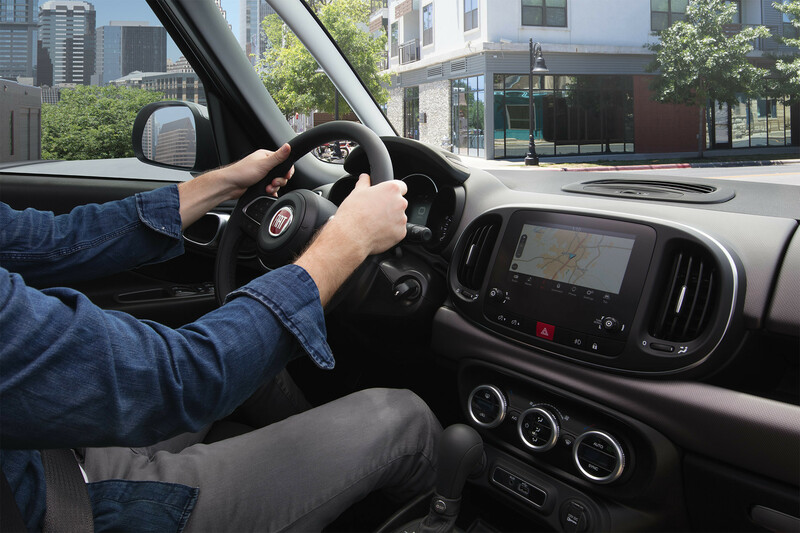 helps keep you on track with stunning 3D map graphics that are displayed on the standard 7-inch touchscreen. 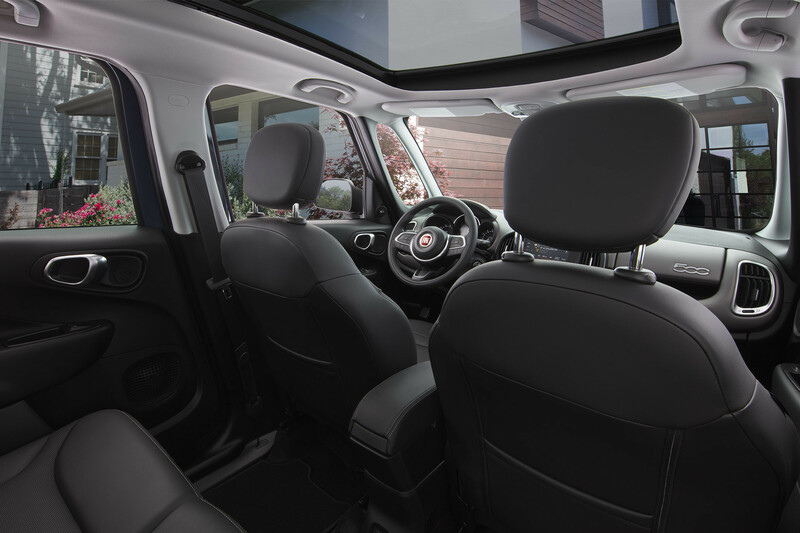 The 500L interior features substantial headroom and legroom for added comfort. Leather‑faced seats are standard in the Trekking and Lounge models. 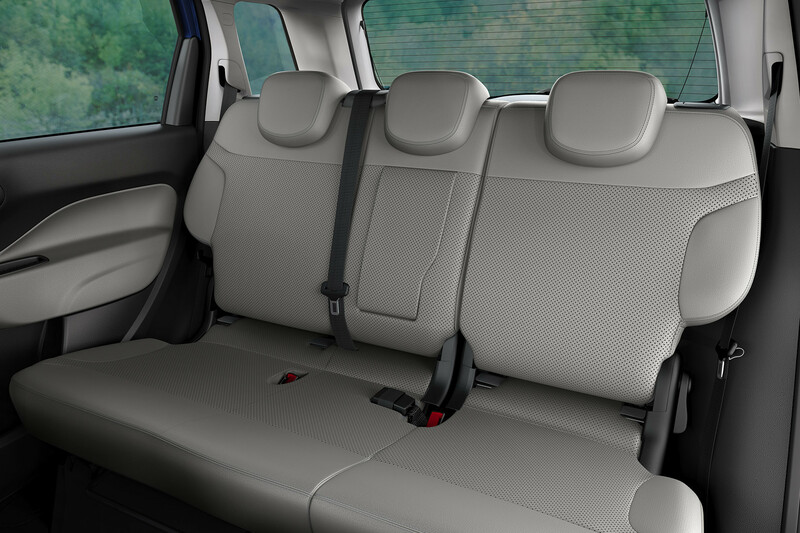 The 60/40 split-folding rear seats with Tilt, Tumble & Slide function let you easily fold them down for more cargo space when you need it. 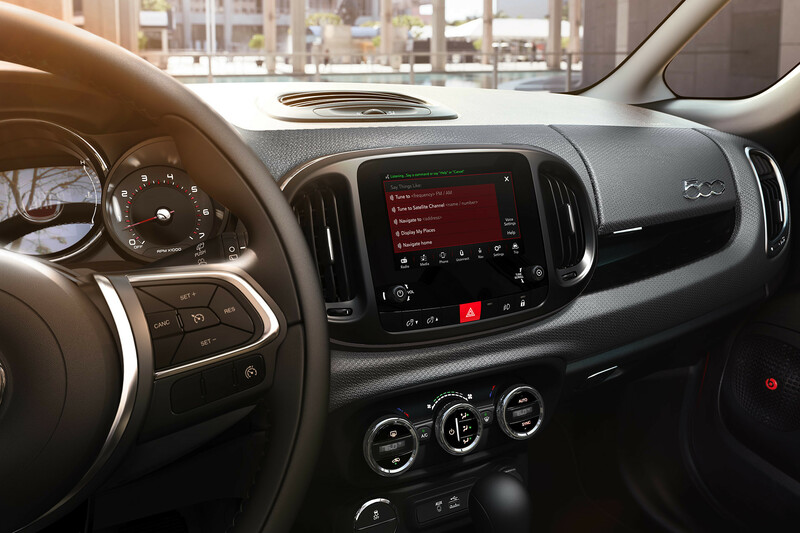 The standard Uconnect® 4 multimedia centre features its 7-inch full-colour touchscreen with Apple CarPlay compatibility and Android AutoTM. Driving while distracted can result in loss of vehicle control. Only use mobile phones and other devices, even with voice controls, when it is safe to do so. Apple CarPlay requires a compatible iPhone connected via USB cable to the Uconnect® system. Apple CarPlay is a trademark of Apple Inc. Data plan rates may apply. Android Auto requires the Android Auto app on Google Play and AndroidTM compatible smartphone running Android 5.0 Lollipop or higher. Android Auto is a trademark of Google LLC. 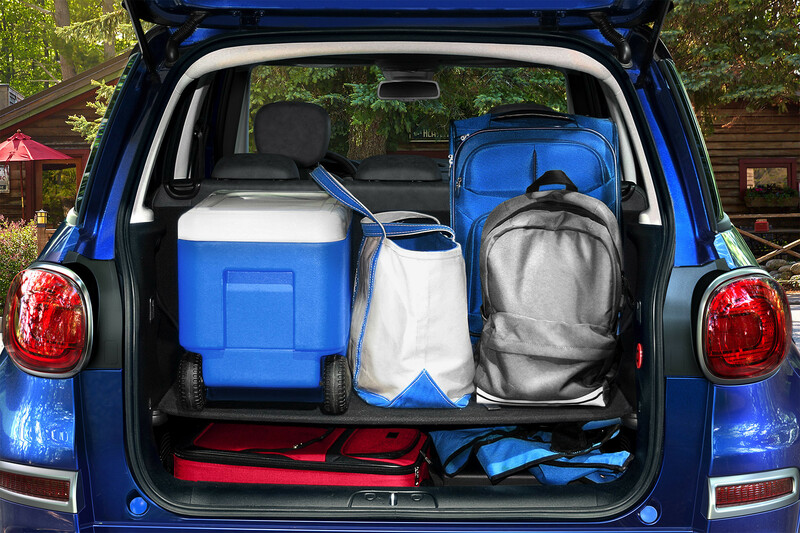 With 60/40 split-folding rear seats with Tilt, Tumble & Slide function, the 2019 500L offers up to 1,925 L (68 cu ft) of cargo space.